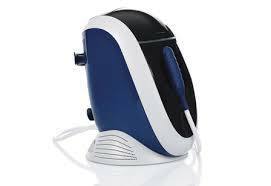 The Cork Eye Clinic are delighted to announce that we have acquired a new revolutionary device for the treatment of dry eyes due to Blepharitis/Meibomian gland dysfunction (MGD), the E-Eye IPL machine. We are the very first ophthalmologist clinic in Ireland providing this exciting new treatment. Intense Pulsed Light has been used for decades for hair removal and the treatment of skin conditions but has recently come to the fore in the treatment of dry eyes. IPL targets the blood vessels surrounding the oil-producing glands of the eyelids (known as the Meibomian glands) resulting in better eyelid appearance and better function of the eyelid gland. This is a condition in which you are unable to make enough tears or the right quality tears to nourish and moisturize your eyes sufficiently. One common cause of the condition is the dysfunction of the meibomian glands in the eyelids, which are the tiny oil glands that are responsible for producing natural oils for your tears. Without the proper production of the oils, the tears that are produced will evaporate very quickly thus not properly moisturizing your eyes. When left untreated dry eye syndrome can lead to significant eye pain and corneal damage. The theory is that the pulses of infra-red light of a specific wavelength emitted during IPL treatment target inflamed vessels in the eyelids, shutting them down. These vessels – called telangiectactic vessels – are familiar to anyone with acne rosacea, and look like tiny spider veins. 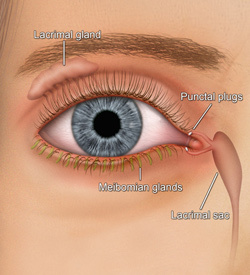 They are bad news for dry eyes, as they invade the eye lid margin and consequently inflame the important oil-producing glands of the eyelid – the Meibomian glands. The E-Eye uses intense regulated pulsed light which has been designed precisely for treating dry eyes caused by MGD. It is the first and only medical device in the world to do this. A minimum of three treatments over a 3 month period is recommended. At the Cork Eye Clinic we perform the treatments on site at our fully equipped Dry Eye Clinic. Treatment takes about 15 minutes per eye and is performed in a relaxed environment. 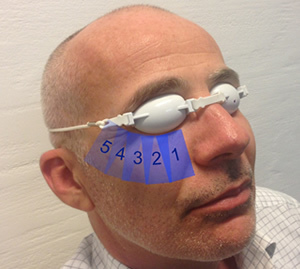 The E-Eye emits a “cold light” and it is non-invasive, totally painless and entirely harmless to the eyeball. Omega 3 supplements do not have consistent results, can often have an unpleasant taste and can have adverse interactions with other types of medication. IPL treatment is effective because not only can it alleviate the symptoms associated with dry eye syndrome, it can directly treat the primary cause of the condition and slow the progression of the chronic dry eye, all without drops. This is an ideal treatment for patients who have tried traditional treatments for their dry eye syndrome with little to no success or who are tired of having to undergo continuous repeated treatments to find any relief from their symptoms. In one clinical trial performed in New Zealand 86% of participants noted a reduction in symptoms in the treated eye after the third treatment. In another 3 year retrospective study over 90% of respondents to the IPL treatment improved in both ocular appearance and subjective improvement in symptoms. The effectiveness of the treatment will depend upon the application of a specific treatment protocol. This involves 3 sessions administered at Day 0, 2 weeks later and then 4 weeks later. Additional sessions may be scheduled for the consolidation and maintenance of clinical benefits achieved. Please ensure that you have no cosmetic products on your skin prior to treatment. Make / confirm your appointment for the next session.